April 16, 2003 – Michael Jordan was sitting on the bench. He was smiling and joking with his teammates as the sellout crowd chanted: “We want Mike! We want Mike!”. Though he didn’t want to go back in, Jordan wouldn’t disappoint the fans in the final game of his NBA career. Jordan pulled off his warmups, received yet another lengthy ovation, went back on the court, and was purposely fouled by Eric Snow. Fittingly, Jordan made his final two shots — both free throws. Another standing ovation followed, this one including the coaches and other players. Jordan flashed his familiar wide smile, waved to the crowd and took a seat on the bench one last time. In his last NBA game, Jordan was wearing his Air Jordan XVIII, the last player exclusive pair that Michael Jordan wore in an NBA game. These sneakers are now having a retro version released, with the exact same colorway as Jordan wore them in his final game. 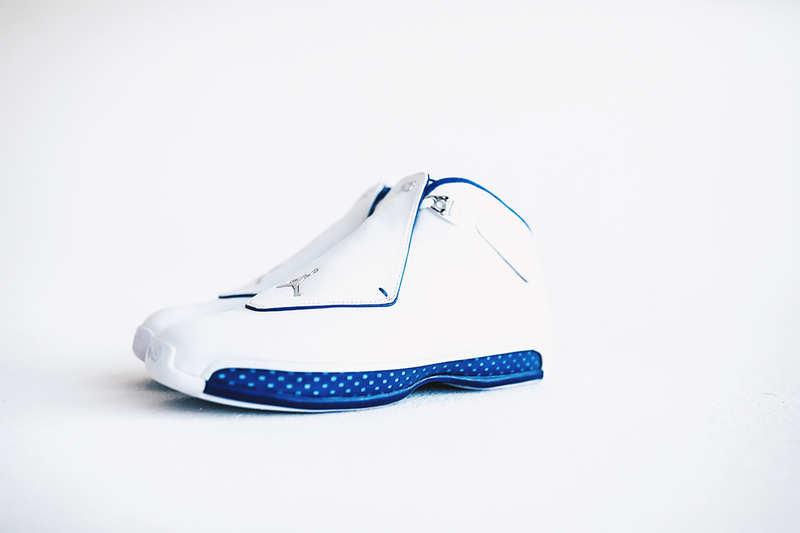 According to SLAM, the “OG” Air Jordan XVIII come with a $225 price tag.